The Sunshine Coast has moved a step closer to ensuring the region’s future economic growth while also meeting the housing demands associated with the yet to be completed Sunshine Coast University Hospital. Final negotiations to unlock a development south of Caloundra providing 20,000 homes for 50,000 people over 30 years could happen at a Sunshine Coast Regional Council meeting on June 15. If satisfactory commercial terms can be agreed with the State Government and Council, the commencement of Caloundra South will trigger an initial investment of more than $300 million by Stockland. 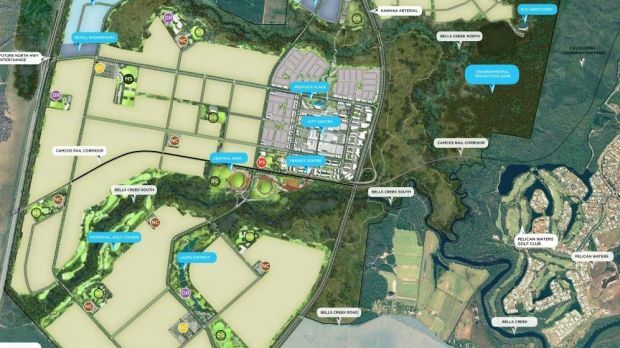 'Final negotiations to unlock a development south of Caloundra providing 20,000 homes for 50,000 people over 30 years could happen at a Sunshine Coast Regional Council meeting on June 15. A federal government-ordered plan to provide a plan to protect a nationally-vulnerable frog species has been delivered. Stockland on Wednesday said it would commit an immediate $300 million to kickstart the project.